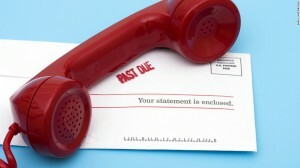 Debt collectors may violate the FDCPA by either harassing or threatening creditors. Before contacting an attorney to help, steps to take to defend against violations and build a case against the abusive debt collector are: first, record the phone calls. The safest and most advantageous way to record the collector’s phone calls is by making note in a computer, on a note-book, or other log of the calls. When people read the word “record” they may automatically think of a voice recording but, though irrefutable evidence, voice recording a call is unsafe as a victim of harassment. The state that the victim is in may be a one party state, a state that allows voice recordings of phone calls as long as one person, namely the victim, consents to it, but the debt collector violating the FDCPA may be in a two party state, a state that requires both or all participants in a call to consent to voice recording. If this is the situation the debt collector can sue back and although it is unlikely anything will be lost monetarily, the case could be dropped for abuse and harassment.. Many victims get discouraged at the fact that voice recordings cannot, most of the time, be used in court, but dependable, accurate, and thorough notes can be just as good if not better than a voice recording. In the notes, make sure to write exactly what is said with no abbreviations. Also add the time and date of the call and who specifically called (the caller and the agency) and make sure the notes are optimally accurate. In a case against the abusive debt collector(s) the debtor has the advantage of memory. Though a debt collector may claim to remember the calls in a different way, it is unlikely that they do as they have dozens of calls in a single day while the debtor has dependable and accurate notes of their few calls on their side. Make sure not to just focus on the negative things a debt collector says so that the notes will be similar besides the abuse that the debt collector will leave out of their report. The missing information in the debt collectors report (the abuse and harassment) will not be much of a problem because judges are people too and they are knowledgeable of how debt collectors act and the judge will know, how often debt collectors leave information out of their logs. Stay positive, and stay thorough. If a debt collector violated the FDCPA but the debtor followed procedure, the odds are better for the debtor.